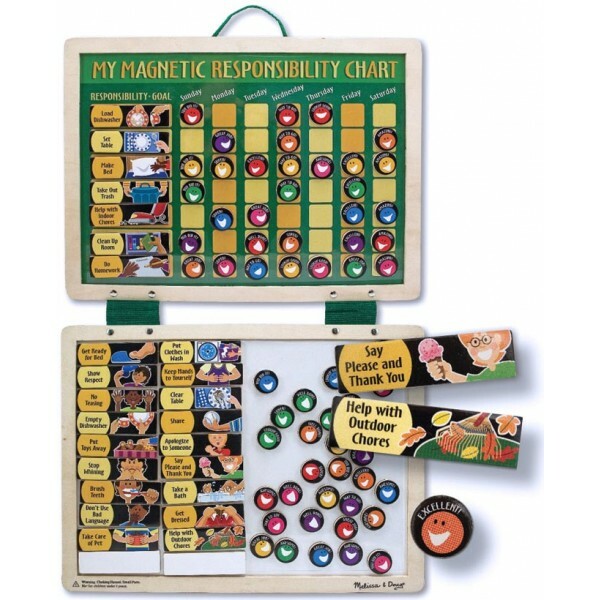 Melissa & Doug Deluxe Magnetic Responsibility Chart helps kids understand the concept of behavior and rewards. 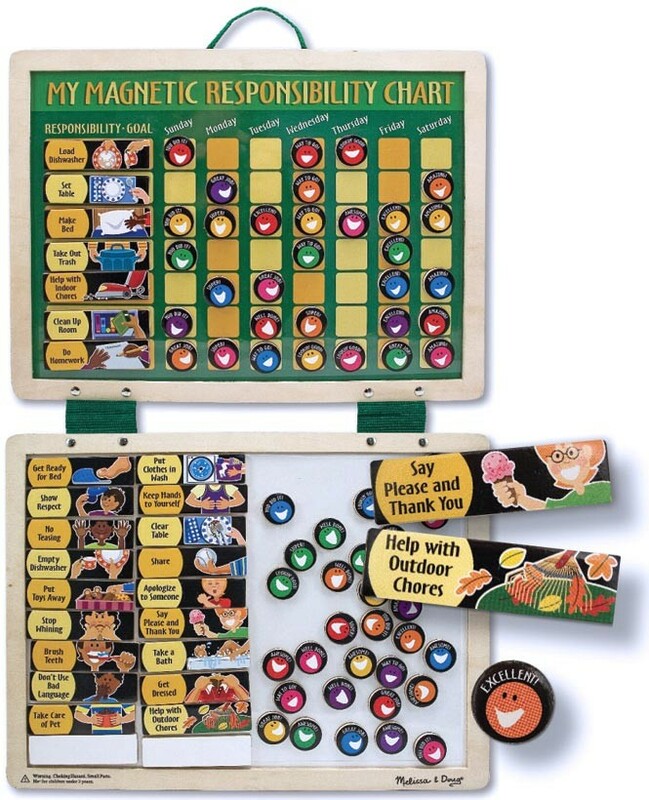 This entertaining, magnetic activities board feature the innovative combination of magnets and wood. It includes a dry-erase board and 90 magnets depicting behaviors and rewards. The chart measures 16" x 12" when closed and 16" x 24" when open.